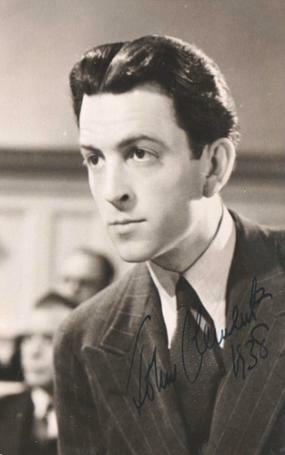 Signed 1930s B&W publicity photo + signed letter on Intimate Theatre letterhead (dated 24th Sept 1938) mentioning his role in the film "South Riding." 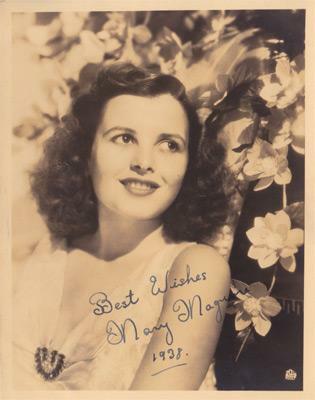 Signed 1930s B&W publicity photo card. 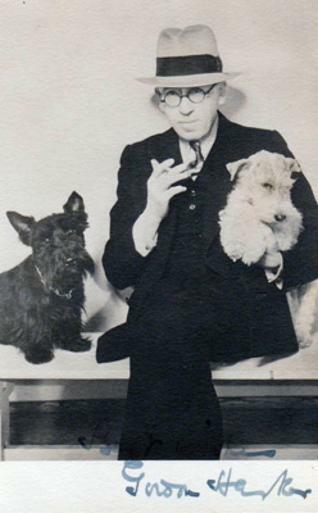 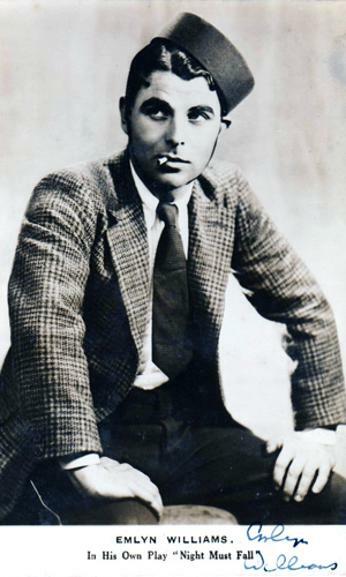 Signed B&W publicity photo dated 1938. 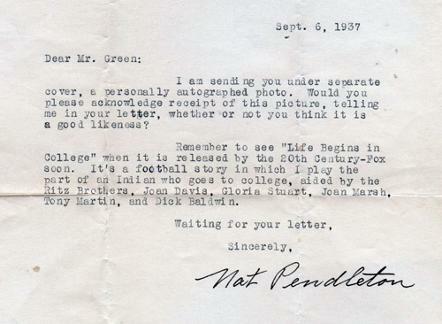 Signed 1930s B&W publicity photo + signed letter dated Sept 8, 1937 mentioning his role as Little Black Cloud in the Ritz Brothers' film "Life Begins in College.". 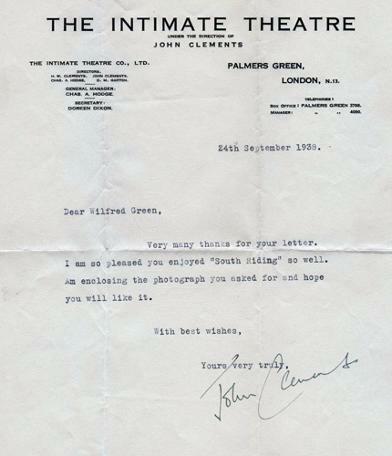 Signed (with her fingerprint) B&W 1930s promotional photo card + accompanying letter from her Butcher's Film secretary - dated 22nd April 1938. 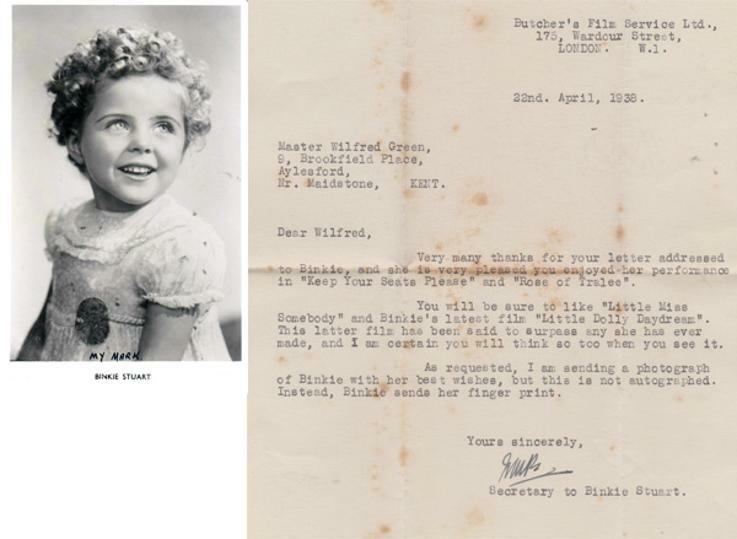 The letter mentions the six-year-old British 'Shirley Temple' films "Rose of Tralee," "Little Dolly Daydream," "Little Miss Somebody" & "Keep Your Seats Please." 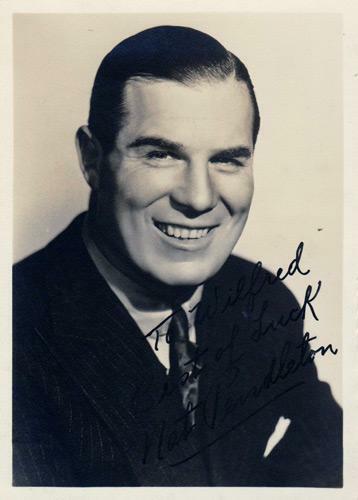 Signed B&W 1935 promotional photo card for his play "Night Must Fall," which he wrote and starred in.